Double Helix with Anchor Type Mixer offered comes with support of reliable functioning drive unit with its pinwheel, gear and worm gear providing for optimum performance support. Working as excellent discharging unit, the drive of spherical/plum-blossom dislocation valves can be made available in electric, pneumatic and manual options. 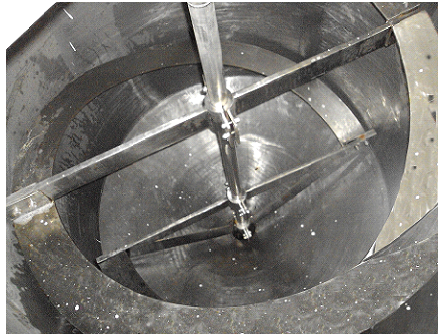 Some of its features include suitable for use in industry sectors like chemical, pesticide, food, glaze and others; offers consistent support for mixing material, suitable for use with big powder particle materials, available in different working capacities from 300 to 12000L, available in stainless steel/carbon steel finish, choice of manual/pneumatic/electric discharging option. Type of blades: anchor with double helix. Special features : used for sticky, viscous material in food , pharmaceuticals, and chemical industries.